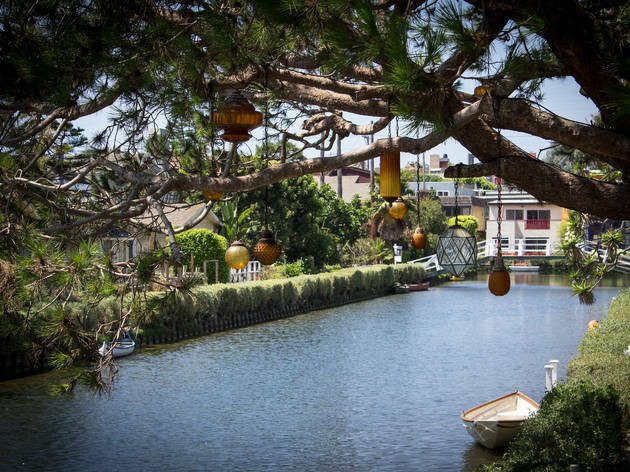 Tucked between the grimy Venice Boardwalk and the posh Abbot Kinney, the Venice Canals offer a completely different side of the famed beachfront neighborhood. 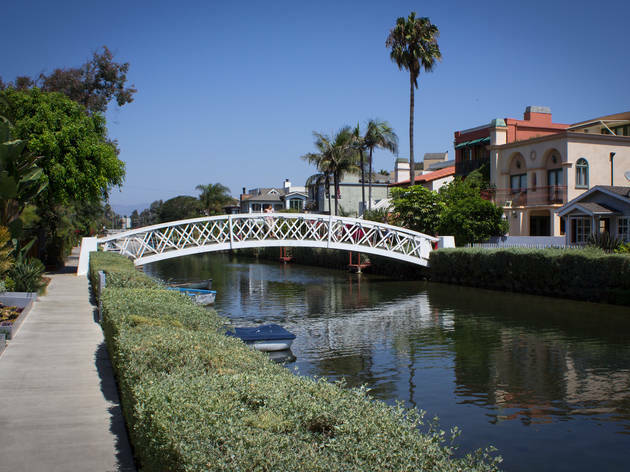 Take a stroll through these three canal-lined blocks—hence the name, Venice—and you'll discover an idyllic scene: arching pedestrian bridges, charming beach houses, bunches of ducklings and the occasional paddle boarding bulldog. 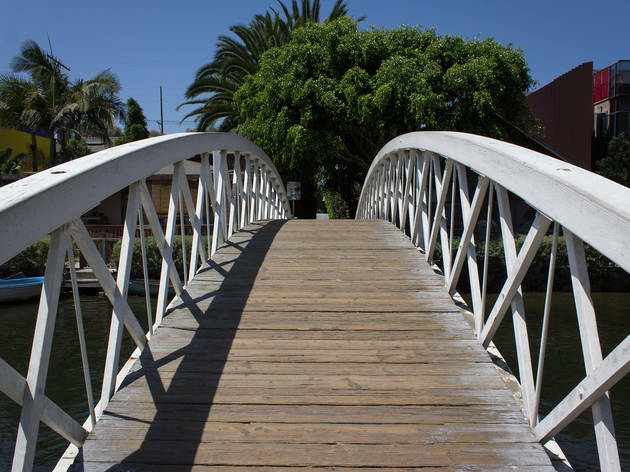 Though you won't find boat rentals anywhere along the canals, you can bring your own non-motorized vessel to tour the neighborhood at water level (enter via the launch ramp at Venice Boulevard). Be a tourist! 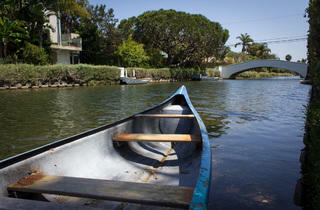 LA tourist attractions are awesome--especially the canals. 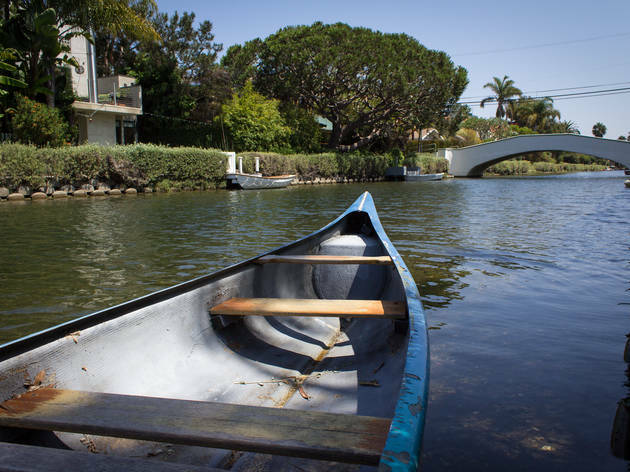 As are a lot of the best attractions in LA, the Canals are not only one of our most interesting features for visitors, but are in fact woven into the lives of locals. If you ever wondered why Venice was named Venice, wonder no more! There were originally double the amount of canals in Venice's original plan before they were eventually filled in and built over ( :( ). 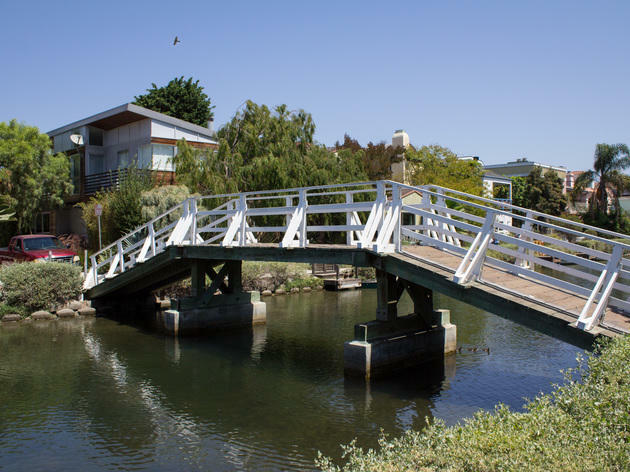 While the fine houses along them are certainly expensive and private, there are public walkways along them that make them easy to visit and enjoy. And even though they're in every tourist guide under the sun, a surprising amount of locals and tourists alike don't even know they're there. 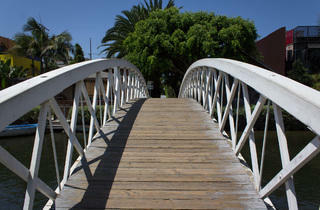 Be sure to wander off the beaten path for a relaxing and scenic walk away from the bustle of the boardwalk. 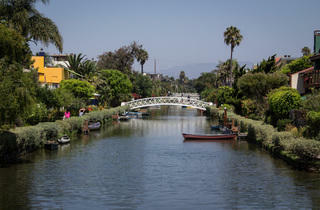 If you find yourself this way, you'd be mad not to check out the canals. Quiet and calm, it's a world away from the bustling boardwalk. The architecture varies from subtle to eye-wateringly modern and you're sure to see a duck or two. 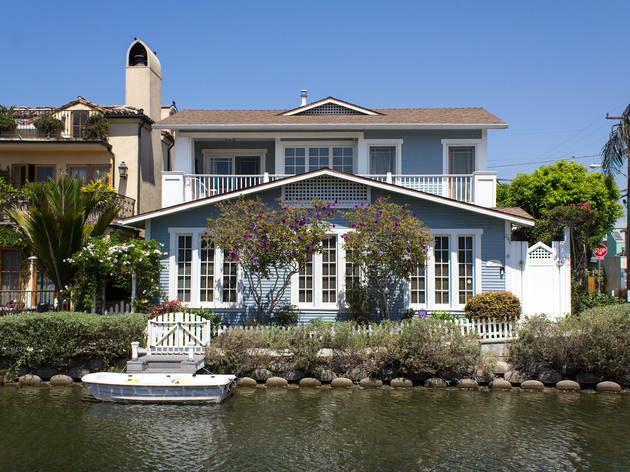 It's not quite as grand as the real Venice but its certainly a beautiful and unique pocket of LA. This is my absolute favorite place in LA. 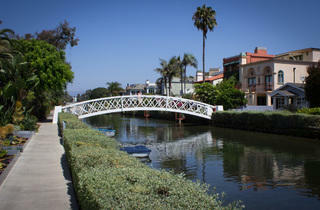 I'm always surprised that it's not packed with tourists since it's SO close to the venice boardwalk but it rarely is. This place feels like magic. 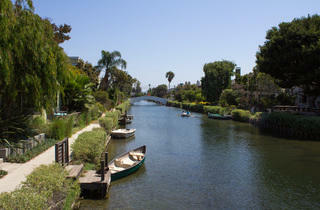 A quick walk through the canals and then lunch near the boardwalk is the perfect Saturday. 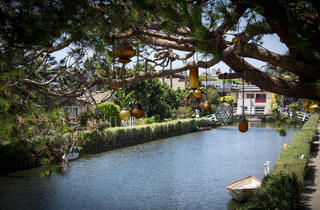 Stuff your face at Gjusta and wander around Venice until you stumble upon this idyllic setting. My favorite thing to do while strolling around here is admiring the individual character of each home in the neighborhood and trying to choose a favorite (it's impossible). 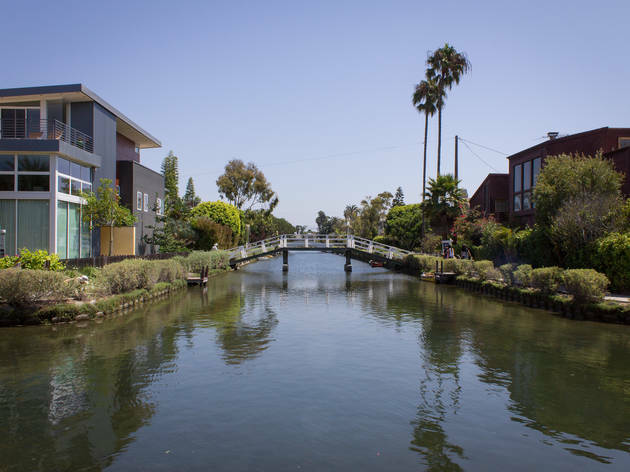 While people spend most of their time in Venice on the boardwalk or on Abott Kinney, no tour of Venice is truly complete without a visit to the canals! Wow! What a great find in LA. This was a total accidental find as I was exploring Venice and BAM here I was. The homes here are all very unique and each one is done differently. This place is a good date place as it exudes charm! There's also a bunch of great eats and shops around the area. Great place to talk a quiet walk and get a great view of some adorable and impressive houses. Even though this spot is open to everyone and easy to get to, it feels a bit hidden in some respect, which makes the whole experience feel a lot more special. 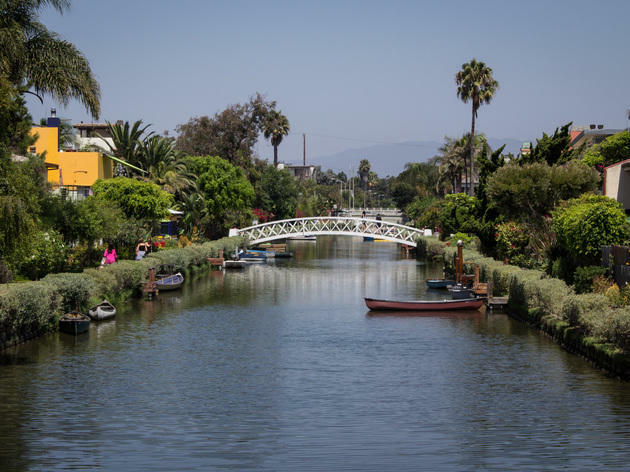 If you're heading to Venice to show some guests around in the area, definitely make a stop by the canals before you hit the beach or Abbot Kinney blvd. 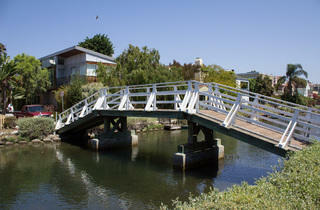 It's a great casual walk that anyone can take and it provides a nice glimpse and different view of the area. Venice canals are one of my favorite spots on the West side. 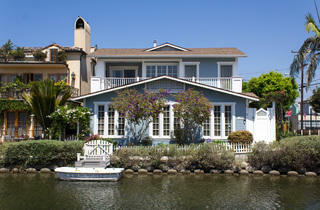 Taking a walk around the canals and looking at all the pretty houses is so peaceful. It's a great spot for a date night or to bring friends from out of town! I'm not quite sure why it took me almost four years of living in LA to make it to the canals, but whatever man, I finally made it, and now it's something I always make sure to visit when I'm in Venice. 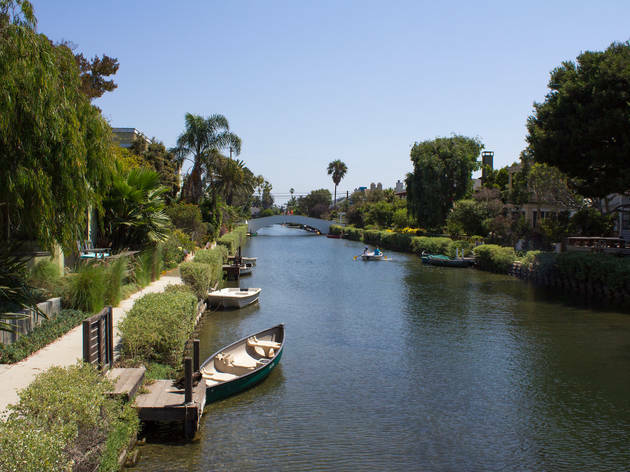 The canals truly take you out of LA and transport you elsewhere—not quite Venice, Italy, but more like an idyllic town that belongs in a children's book. I have a habit of commenting on every house I pass—"Love those blinds," "Why did they paint it that shade of green?" "I want that one"—and daydreaming about what kind of house I'd build if I could score a plot of land here.